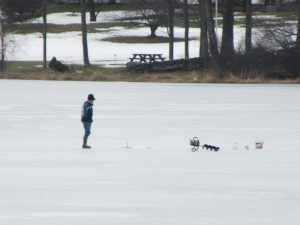 As temperatures crept toward 50 degrees in Susquehanna County this morning, a lone angler took to fishing on Lake Montrose. 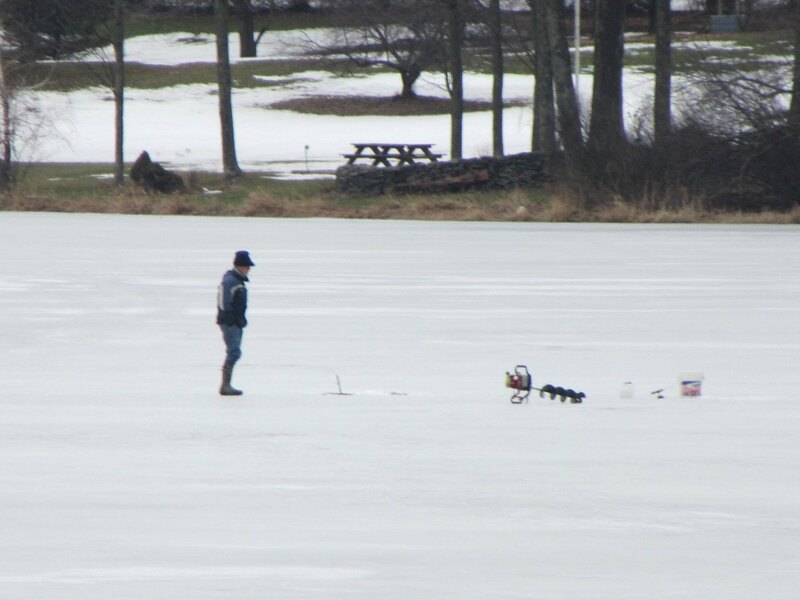 As highs reach the 60s in the region both tomorrow and Saturday, there will be fewer places left to participate in ice fishing safely. This winter’s roller coaster ride continues with another surge of warm air overtaking the Endless Mountains through Saturday. 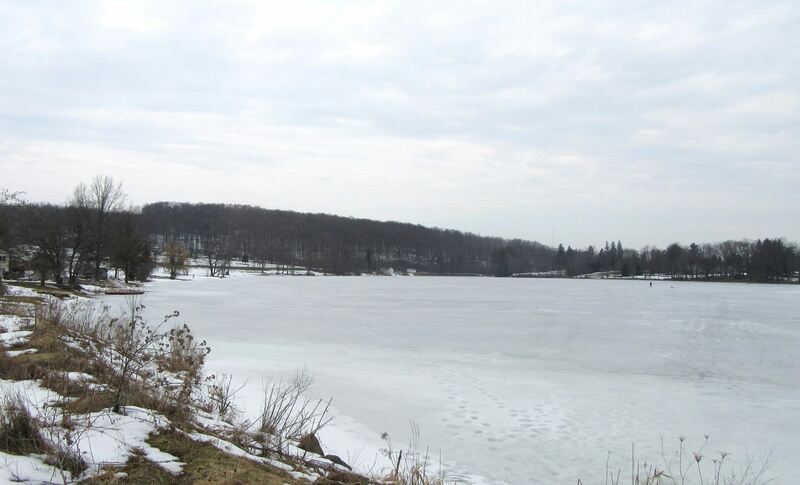 The pendulum will swing the other way on Sunday, when snow showers are back in the forecast. Nonetheless, most of next week looks to be warmer than average.